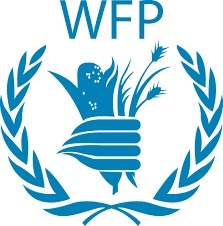 ABOUT WFP: The United Nations World Food Programme is the world's largest humanitarian agency fighting hunger worldwide. The mission of WFP is to help the world achieve Zero Hunger in our lifetimes. Every day, WFP works worldwide to ensure that no child goes to bed hungry and that the poorest and most vulnerable, particularly women and children, can access the nutritious food they need. JOB PURPOSE: The Communications Unit of WFP Tanzania aims to enhance public awareness and understanding of WFP’s work in the country to both local and international audiences. It works to improve brand recognition through both conventional and non-conventional avenues of communication to appeal to as wide an audience as possible. ONLY applicants currently enrolled in graduate school or have graduated from BA or MA programme over the last 12 months can apply. Work experience in journalism or public affairs will be an advantage. Excellent knowledge and understanding of social media trends. Proven writing and editing skills (report, creative writing, media) in English and Kiswahili. Photography and videography skills. Demonstrated working knowledge of Windows computer applications (Word, Excel, PowerPoint, Publisher). Knowledge of social and political situation in Tanzania and East African region. Ability to perform multiple tasks. Good interpersonal skills,team spirit and attention to details. Demonstrates ability to respond media and influencers within own scope of responsibility to raise the profile of WFP, build relationships and further organisational aims. Collates accurate and timely information presented in required format (i.e. written or visual materials) as well as verbally, to enable information flows and informed decision making on communications issues. Exhibits specialised technical knowledge of communications channels processes, tools and techniques. In immediate area of responsibility, provides support in developing written, visual, audio and multi-media content for communications materials and suggestions for improved communications processes. Shows awareness of the multilateral/interagency environment and the dynamics in which WFP operates which informs approach to daily tasks. Demonstrates sound understanding of WFP communications strategy and effectively implements tailored media and communications plans which support the delivery of the strategy. Interns receive a monthly stipend from WFP. Open to Tanzania citizens only. The application deadline is 20th October 2018.